I happened to stop by the Branford Town Hall today and discovered that they had just received a shipment of their latest Branford Events magazine. This is Volume 4 – Quarter 1 – 2016. 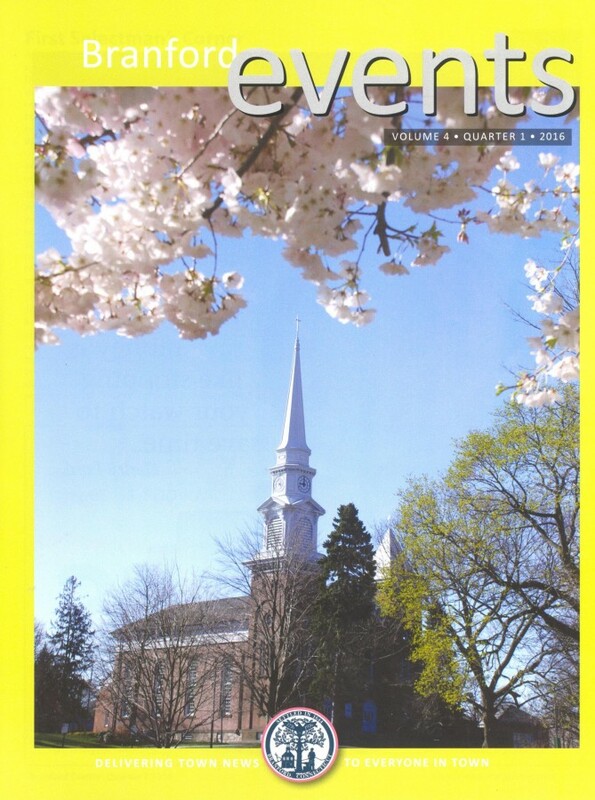 It was a treat to be able to provide a snowy image for the last issue, but even nicer to give them a spring shot of the Branford Congregational Church and new leaves and blossoms reminding us of the direction our weather is heading over the next few weeks.